Lone Star Fence & Construction is one of the most affordable fence companies in Houston. The services offered by our company are competitively priced, which means that our customers are receiving the best price possible. Our company offers a variety of affordable fencing services to both residential and commercial customers. Our services include help choosing which type of materials to use and how the structure should be built. We can even install the fence around the home or business. Businesses and private residences that have special fencing needs will find our affordable custom construction projects helpful. Our employees will work closely with homeowners and business owners to determine their specific needs and create a fencing structure that will meet those needs. Whether there is a need for a decorative fence, privacy fence, or security fence, our company will be able to provide the greater Houston area and surrounding cities with the services they need to create and build a long-lasting fence. Contact us at Lone Star Fence & Construction to learn more about our fencing services for both residential and commercial customers. 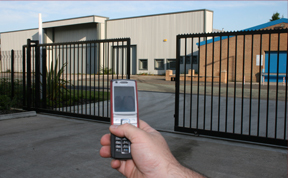 Top Commercial & Residential Fence Companies in Houston? Lone Star Fence & Construction is a top company that provides fencing-services to the Houston area. Located in Friendswood, Texas, our company provides reliable service to the greater Houston area. Our company proudly services both residential and commercial customers in League City, Sugar Land, Alvin, Pearland, Friendswood, and Houston. One of the things that make our company one of the top companies in the area is our commitment to customer service. All of our employees are committed to providing superior quality customer service. Whether the project involves building wood fencing around a business for privacy purposes or installing a wrought iron fence for decorative purposes at a private residence, our employees will help guide customers through the entire process from start to finish. In addition to our superior quality customer service, our affordable prices make us one of the top companies in the Houston area. All services are competitively priced, which allows us to provide our customers with the opportunity to find a fencing service that meets their budget. Call us at Lone Star Fence & Construction to learn more about our commercial and residential fencing services. Reliable Fence Companies in Houston? 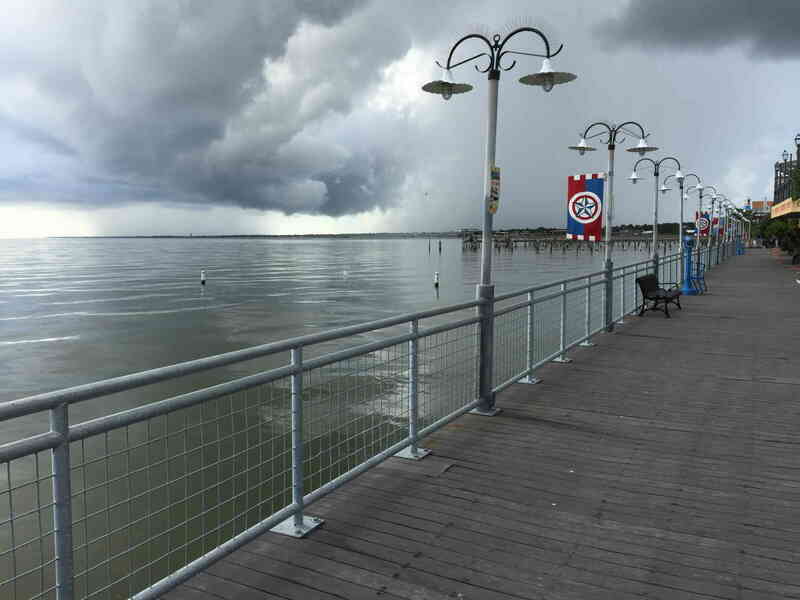 Lone Star Fence & Construction is a reliable fencing company that has continuously provided superior quality service to the Houston area for the past 10 years. Our commitment to providing superior quality customer service has allowed us to become a reliable and dependable company for both commercial and residential customers looking to start a fencing project. In fact, no project is too big or too small for us, as we love to help customers with all types of projects. We provide reliable service for customers looking to build all types of fencing. We can assist customers with any type of fencing project from help building and creating wooden privacy fences to wrought iron fencing used for security purposes. Contact us at Lone Star Fence & Construction to learn more about what makes us one of the most reliable fence companies in Houston. Compare their customer reviews online – Check online review sites like Yelp and Angie’s List to get an idea of what their reputation is like among customers. Check with the Better Business Bureau as well. Compare their websites – The quality of their website will often reflect how seriously they take their professionalism. Check to see what kinds of products they provide and make sure they have a portfolio you can look through so that you can get a feel for the quality of their work. Compare their costs – Cheaper doesn’t always mean better, but knowing the costs will help better guide your decision. Just make sure they provide a free written estimate. Visit their website – Most businesses, even smaller, locally-owned businesses, have websites. You may not want to trust a company that doesn’t have their own website. If they do, read up on the company and the type of fences they have and can install. Look at online reviews – Check websites such as Yelp or Angie’s List for customer reviews. If there are an abundance of negative reviews, then you’ll do best to avoid them. Check with the Better Business Bureau – Find out if there were any complaints filed against the company in question. Also check to see if the company followed up on those complaints or not. Ask about payment options – A reputable company will allow you to pay using a number of different methods. Stay away from companies that only accept cash. Ask for a written estimate – A company that does not provide a written estimate probably shouldn’t be trusted. Permits and regulations : Your local government and/or your neighborhood’s housing authority might require special permitting before you can install a fence. It’s important to choose a fence company that has experience working with these local authorities, and has the right equipment, skills, and products to ensure everything is in compliance. Insurance and references : You don’t want a fly-by-night operation on your front lawn. Instead, ask fencing companies about their insurance and liability coverage. You want to be doubly certain that you and your home will be protected for any and all types of damages that might during the project. Additionally, request references from past clients with similar projects, preferably within your same neighborhood. Full project descriptions : A reputable fencing company will be able to provide you with a full and complete estimate before the project begins. This should be an overall project estimate that outlines the required materials, cost breakdown, and time estimate. The ins and outs of hiring any kind of contractor should be familiar. If you are going to let a company make changes to the inside or outside of your home, they need to be fully qualified and referenced. While it is your responsibility to check whether this is the case, reliable fence companies are the ones which make this process as simple and effortless as possible. What distinguishes the right fence company for your job from the competition is attention to detail. Reliable fence companies are not satisfied with simply turning up and giving the bare minimum. They are committed to providing nothing but the best in customer service and the highest quality fencing products. The style that you choose for your fence will depend entirely on its function. For example, if you are looking to add privacy and security to your home, styles with extended height and patterned panels are recommended. These panels reduce visibility and make it harder for passers by to see into your property. Alternatively, if you are keen to give your yard a makeover, we suggest browsing for an ornate design or curved spokes. Choosing a reliable company that can provide and properly execute the style you have in mind is key. There are some fence companies which charge clients sky high prices and only provide medium grade materials. The fence company you choose should take pride in the resources they use, whether they be wood, stone, or wrought iron. If you take these factors into consideration, you can rest assured that you have chosen the best fence company for your job. When you hire a fence company for your home or business, it’s important to find a reliable one that will provide you with high-quality work. 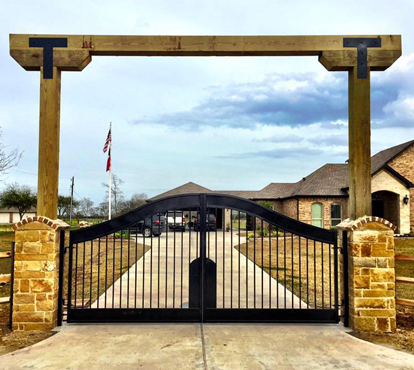 Instead of going with the first name you come across while searching for a fence company in Houston, keep the following tips in mind. Check for licensing and insurance to make sure you’re dealing with a dependable company. Fence companies that are licensed indicate that they are operating legally in Texas, while having insurance means that they are willing to accept legal and financial responsibility if damage occurs or if someone is injured on your property. The right fence company should also be willing to provide you with references from previous clients. This allows you to find out how the company performed on other jobs and whether or not other clients were satisfied with the quality of their work. Reliable fence companies should also be willing to show you examples or photos of previous work, so you can see the kind of fencing work they do. Fence companies that offer superior service are also reliable when it comes to finishing projects on time and guaranteeing their work. Ask for a timeline for your fence project, as well as detailed information on the fees and costs involved before signing a contract. The company you hire should also offer warranties on the fences they install. If you’ve checked the yellow pages or searched the Internet for fence companies, you may have found hundreds of companies in the Houston metro area to choose from. So, how do you narrow the field to choose the right fence company for your job? Can you provide references of recent work? Does your company guarantee its work? Do your fences come with a manufacturer warranty? Is there any maintenance cost involved for the fence you select? Can you provide proof of valid license and insurance? The next order of business is checking for valid business licensing and insurance of prospective fence companies. This is a critical step to ensure you’re not held holding the bag for any injuries or damage that may occur on or to your property. Make a quick call to the insurance carriers of prospective fence contractors to confirm that policies are up to date. One common snafu for home projects is performing work without the proper permits. In general, fences below 8-feet tall that are not constructed of masonry or concrete don’t require a permit. However, permit requirements also depend on zoning and your HOA, where applicable. Hire a fence company that will handle these issues for you.